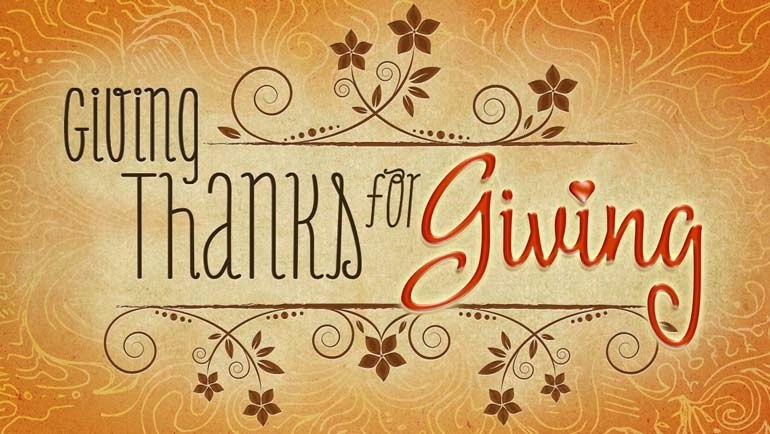 Giving Thanks for Giving: Help Us Celebrate Those Who Give! There are so many reasons why I love the holidays. I love the cool crisp air, the sweaters and jeans, the parties and bonfires, and the holiday shopping. I also love the feelings of goodwill and happiness that permeate the festivities of the season. And, of course, it's a given that I'm gong to say that I love the food. I mean, come on...I write a food blog. Everything's about the food. While I could easily go on and on for days about all of the yumminess that I can't wait to indulge in this year, I'll put that on the back burner because right now I'm excited to tell you about an amazing program that I am lucky to be a part of this season. It's all about giving thanks, one of my favorite parts of the holidays! Have you ever wished there was a way you could give thanks and give back to a selfless and special person in your community with more than a simple "thanks"? Well, this year you have a chance to do just that! This holiday season, I am partnering with the good people at Cooking Planit to celebrate all of the GIVERS out there! Do you know someone who gives to others without looking for recognition or reward? Tell us their inspiring story! Five outstanding GIVERS will be selected for a $250 reward! The Winners will be chosen from all the entries based on how inspiring their story is and how they empower others through their actions and eﬀorts. In the true spirit of giving, Cooking Planit also wants the GIVER to have the opportunity to give back in a very special way. The grand prize winner will win $1,000 for the charity of their choice! Isn't that great?! I'm so exited about this. It doesn't have to be complicated or long, just speak from your heart and tell us about someone who inspires you. Nominate a Hidden Hero and enter your story on Facebook or on the Cooking Planit Giving Thanks page. Winner will be announced (1 per day via the Cooking Planit blog and Facebook page) beginning November 18, 213. Grand Prize Winner will be announced on November 23, 2013. For complete contest terms and conditions, please see the Cooking Planit Giving Thanks page.